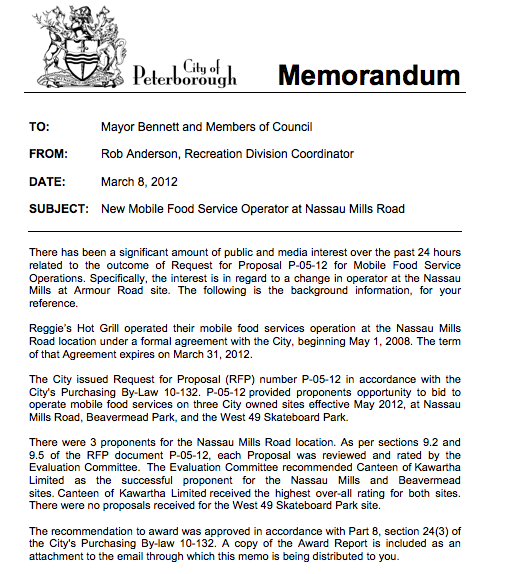 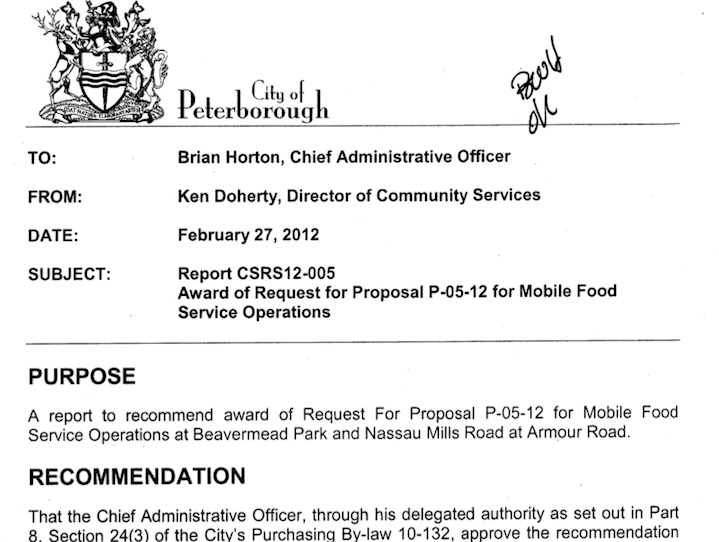 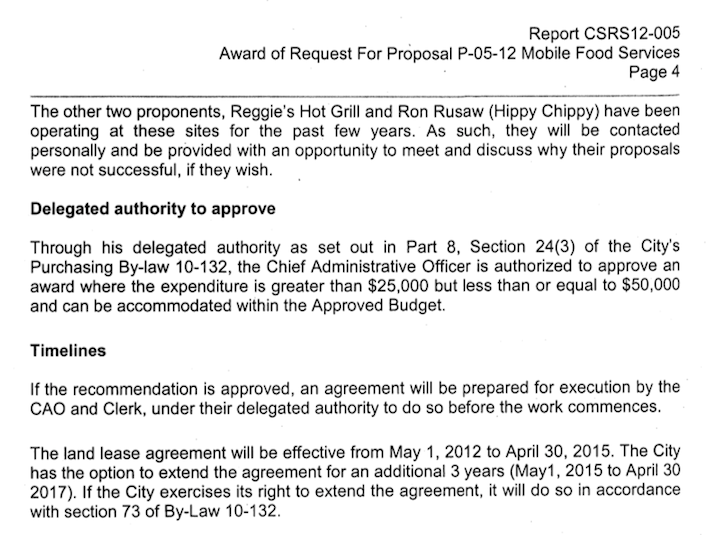 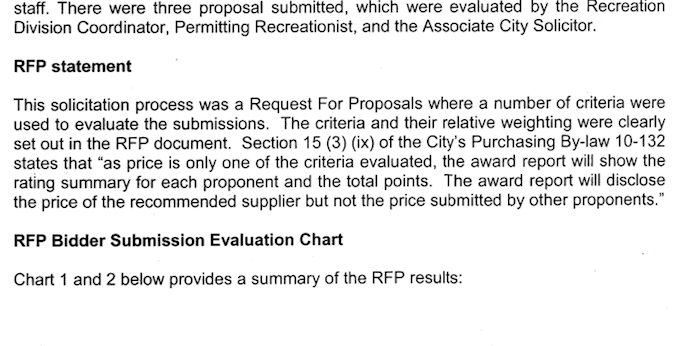 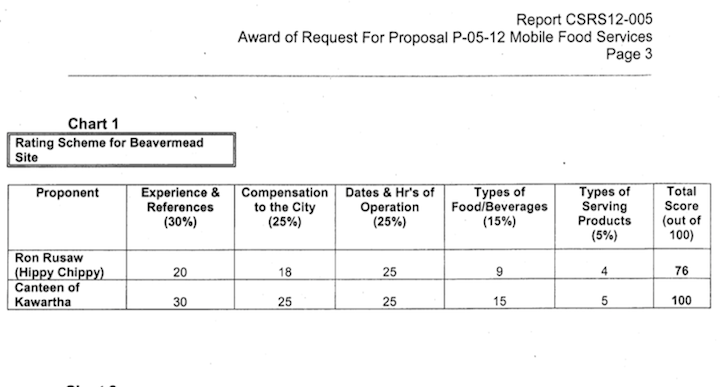 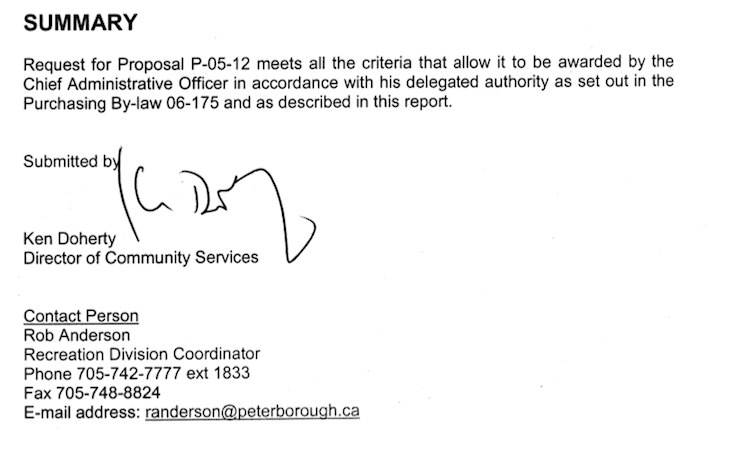 Here are the documents for Request for Proposal P-05-12, Mobile Food Service Operations at Nassau Mills Road, Beavermead Park, and West 49 Skateboard Park, that reveal how Canteen of Kawartha was awarded the new contracts for mobile food service operations at those locations. 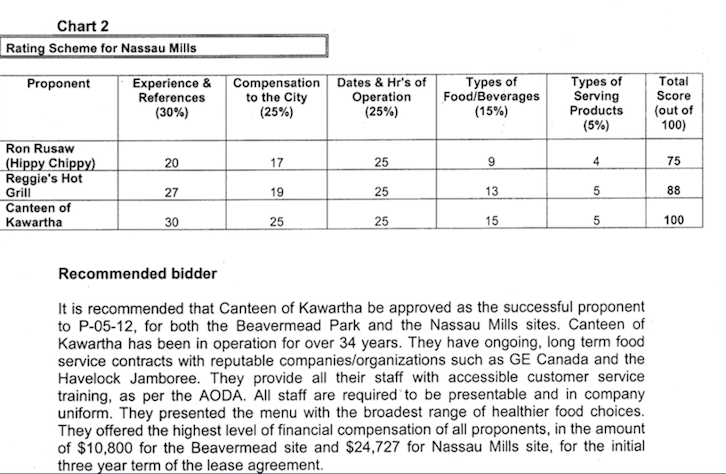 Aside from their 34 years of being in operation and existing contracts in place with other companies/organizations like Havelock Jamboree and GE Canada, it is mentioned in the "Recommended Bidder" area on the last page (see below) that Canteen of Kawartha "presented the menu with the broadest range of healthier food choices. 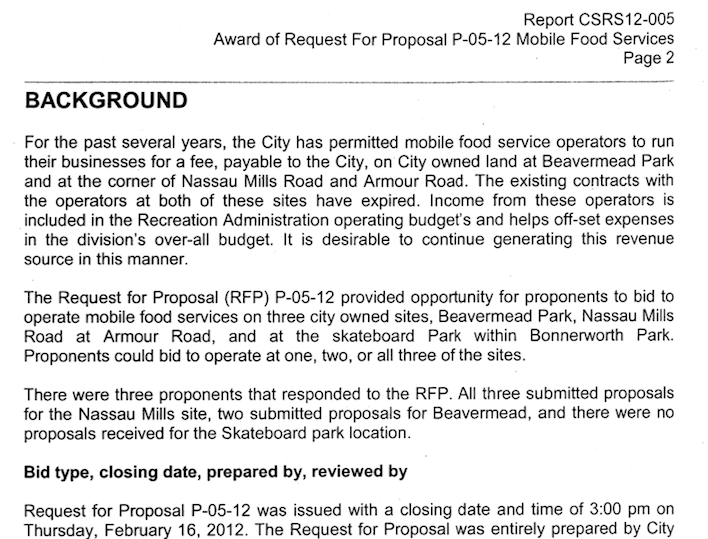 They offered the highest level of financial compensation of all proponents, in the amount of $10,800 for the Beavermead site and $24,727 for Nassau Mills site, for the initial three year term of the lease agreement."